Sometime you come across websites those are blocked for some reason such as blocked by government, ISP, school. At that time you can't access that particular blocked website. That blocked site might be useful for you at the required time. But it's the technology which provides solution to our each and every problem. Free proxy sites are solution to blocked websites. If you will notice some gaming, social networking and torrent sites then you will found them blocked forever in school or college. But proxy sites for school can give you access to those blocked social networking, gaming websites. While some time the owner himself blocks his website at your IP due to security issue. Some people might think that VPN is also a solution to these blocked website so let me remind you that most of the VPN softwares are paid, you can't easily afford them. Now there is only one free solution left that is proxy server sites. 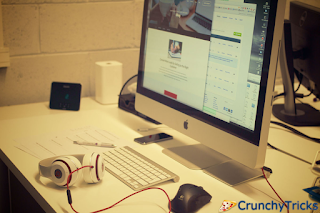 You will get one extra benefit if you will use proxy site that is you can surf anonymously. You can easily use new proxy sites without any problem. All you have to do is, go to the proxy site and enter the URL of your required website then hit enter. After that it will take you to that blocked website. In all this process you stay anonymous. Your original identity will remain hidden. There are thousands of free proxy sites available but most of are not trustable. They contain viruses, malwares. Now you will need best proxy sites which I am going to show you in this article. All these websites listed below are safe, trusted and fast. While most of them comes with HTTPS support which is a awesome feature. You will remain safe. Use any facebook proxy sites to unblock Facebook in you region. Similarly use any proxy website to unblock twitter, videos, movie downloading site at you place. 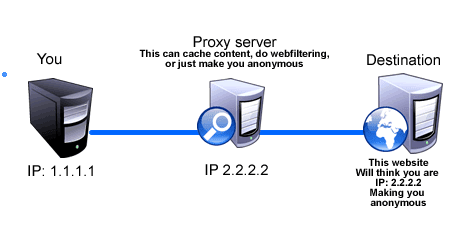 A proxy server consists of three steps as listed in the image below. When you will enter a website in the proxy site then it will change you IP address to somewhere else then that website will consider your IP address of another country and will allow you to access own-self. In this complete process your identity will remain safe and anonymous. So this was all about all best and new proxy sites. All the sites listed are safe to use. As I said above that there is one another option to open blocked websites that is VPN. It's the best and safest method to stay anonymous online. But they costs a lot so if you are able to pay them then simply go for them. If you can't pay that much then use of proxy sites is the only hope available.